Applying a primer is part of my everyday beauty routine. Because I have rosacea, primer is a must for helping to conceal redness as well as other imperfections such as blotchiness and fine lines. 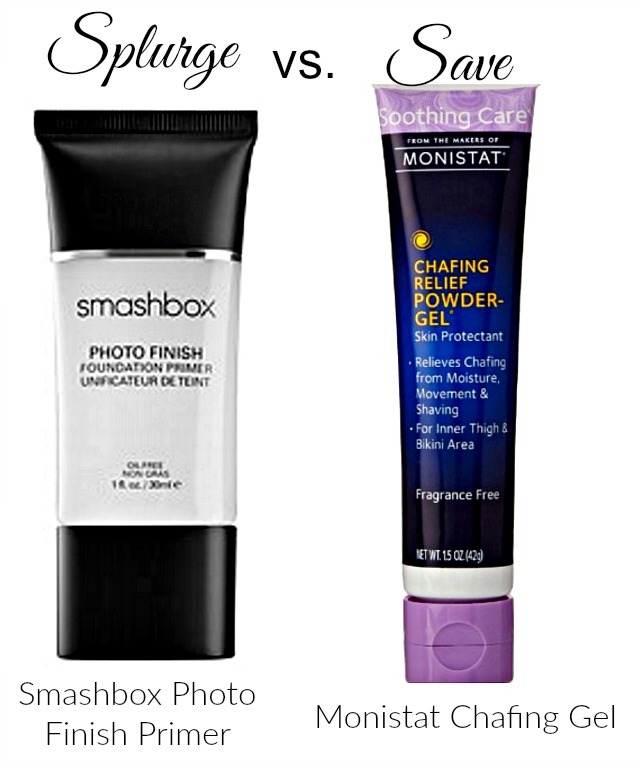 Smashbox Photo Finish Primer is one of my favorites, but it can get costly due to the amount that I use and how often I use it. When I found a very suitable alternative for 1/6th of the price, I was beyond thrilled. In the mood to throw caution to the wind? Buy the Smashbox Photo Finish Primer for $36. In the mood to pinch your pennies? Buy Monistat Chafing Gel for $6.25.